Under the Ozone Protection and Synthetic Greenhouse Gas Management Act 1989, and the Ozone Protection and Synthetic Greenhouse Gas Management Regulations 1995, it is illegal to discharge fluorocarbon refrigerant into the atmosphere, and subject to a potential fine of up to $33,000 for individuals and $165,000 for corporations. Refrigerant is bad for the environment. 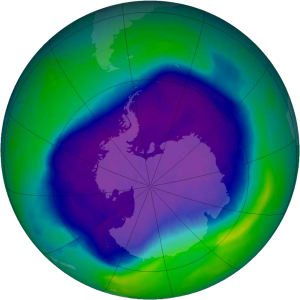 Refrigerant is often a CFC, which is largely responsible for the hole in the ozone layer, and nearly always has a high global warming potential. For example R12, a refrigerant common in pre 1996 fridges and freezers, is a CFC. If that wasn’t bad enough, one kilogram of R12 has the same effect on global warming as 10 tonnes of carbon dioxide! Discharging the refrigerant from one pre 1996 fridge to atmosphere contributes to the hole in the ozone layer and has the same carbon footprint as running the average family home in Victoria for six months. Refrigerant can be very dangerous. Most end of life refrigeration and air conditioning equipment, including fridges, freezers, air conditioners, and vehicle air conditioners received at transfer stations and scrap metal yards will contain refrigerant. Recyclers needs to ensure that refrigerant is removed from theses devices, prior to the recycling process commencing. Units cannot be put into metal bins provided by larger recyclers, or handled by heavy machinery and thrown into large scrap piles until refrigerant has been recovered. It is essential that an ARC authorised refrigerant recovery agent is engaged to undertake the process of refrigerant reclaiming, before recycling commences. 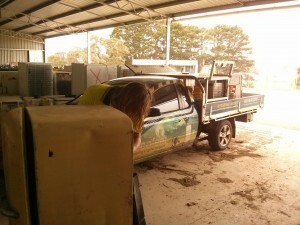 Ecofeet is an ARC authorised refrigerant reclaim agent in Victoria to Reclaim refrigerant from all end of life refrigeration and air conditioning equipment. Contact us today.